Wheelchair Access Wheelchairs are permitted on all trails. Visitor Centers & park visitor centers feature bookstores and information desks accessible to wheelchairs. Assisted listening devices and sign language interpretation available with advance notice. Accessible Trails Bear Lake Trail, Coyote Valley Trail, Lily Lake Trail and the Sprague Lake Trail are all wheelchair accessible Camping Both "front country" and "backcountry" camping are available. Along Trail Ridge Road Many of the overlooks have accessible parking. Disabled parking space at Storm Pass trailhead Disabled parking along Bear Lake Road Along Bear Lake Road Holliwell Park, Sprague Lake and Bear Lake all have accessible parking. Most Park Shuttle Buses are accessible Wheelchair accessible shuttle busses operate in the summer in the Bear Lake corridor. Service Animals Those that have been trained to perform specific tasks for persons with disabilities are allowed in the park. The Disabled Traveler's Companion A good place to look for information on accessibility is the Disabled Traveler's Companion website. 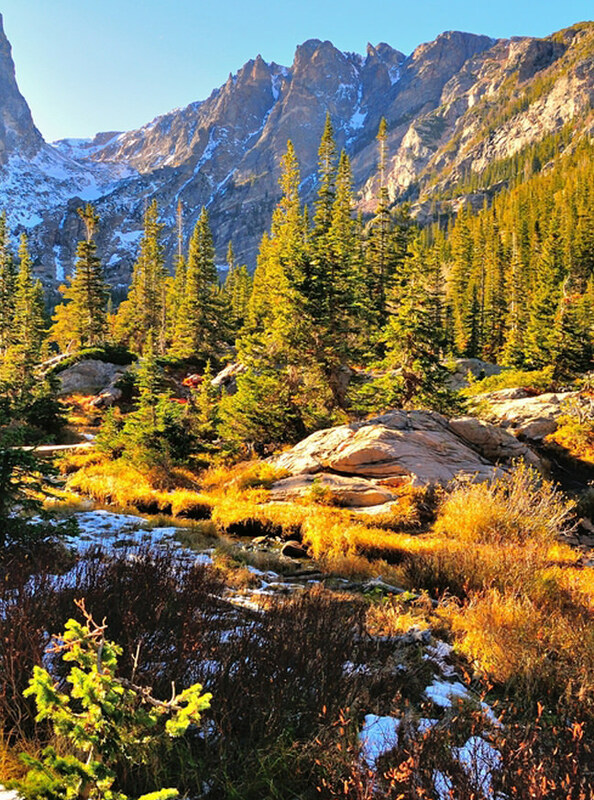 Working in cooperation with Rocky Mountain National Park and other National Parks to provide valuable trip planning assistance to disabled travelers, this website contains information and photographs which may help you plan your visit to Rocky Mountain National Park. * Entrance fees are free with America the Beautiful Pass. Pass may be obtained in person at a federal recreation site or through the mail using the application form. The cost of obtaining an Access Pass through the mail is ten dollars ($10) for processing the application (the Pass is free). Applicants must provide documentation of permanent disability and residency or citizenship.